We have reached capacity for the conference, and registration is now closed. The Women of Color Task Force is excited to be hosting its 37th annual career conference on Friday, March 8, 2019. All U-M staff, faculty, students and the public, regardless of gender or ethnicity, are invited to register to attend this inclusive professional development event. Attendees may select from a variety of workshop sessions designed to support their professional and personal development. The conference keynote will be a conversation with Cynthia H. Bowman, Chief Diversity & Inclusion Officer of Bank of America, and U-M diversity leaders Dilip Das, Assistant Vice Provost for Academic Affairs and Laurita Thomas, Associate Vice President for Human Resources, facilitated by Taryn Petryk, Director of Diversity & Inclusion at Ross School of Business. They will discuss the differences between the DEI strategies that corporations and educational institutions can implement, as well as best practices employees can use to create a more inclusive workplace. Please note that the keynote lecture (8:30-10:30am at Hill Auditorium) is open to the general public and no registration is required. A livestream will be available. However, pre-registration is required to attend the Career Conference workshops and luncheon. The deadline to register for the conference is February 27, 2019. Cynthia H. Bowman is Chief Diversity and Inclusion Officer for Bank of America. In this role, she serves as the chief strategist for diversity and inclusion globally, focused on leading programs, initiatives and policies that actively support the bank’s diverse and inclusive workplace – in thought, style, sexual orientation, gender identity, race, ethnicity, disability, culture and experience. As part of her role, Bowman serves on the bank’s Global Diversity & Inclusion Council, comprised of senior leaders from across the company responsible for keeping diversity and inclusion at the forefront for managers throughout the company. She leads the company’s global diversity and inclusion organization (GDIO), which drives enterprise-wide diversity initiatives, diversity conferences, strategic partner management and sponsorships, diversity metrics and data reporting and inclusion learning. The GDIO also provides strategic oversight to the bank’s 11 Employee Networks, made up of more than 100,000 employees and allies around the globe. Bowman joined Bank of America in 2007 and has served in various leadership roles throughout Global Human Resources. Prior to joining Bank of America, she was a Partner at Accenture where she was responsible for the deployment of performance sales and consulting projects. Bowman has been recognized on the 2016 EBONY POWER 100 list, named one of Black Enterprise’s Top Executives in Corporate Diversity, 2017 and 2018, and received the Leadership Excellence award from the Tri-State Diversity Council. In 2017, she was named one of the 30 must-follow Diversity and Inclusion Thought Leaders by Findspark.com. Bowman graduated from the J.L. Kellogg Graduate School of Management with an MBA in Organization Behavior and Operations. She also has a Bachelor of Industrial Engineering from Georgia Institute of Technology and a Bachelor of Science from Spelman College. Bowman is a member of the Board Trustees for the Boys & Girls Clubs of America (Northeast Region). Bowman also sits on the boards of Let’s Get Ready and the Forte Foundation and is also a member of the 30% club steering committee and the National Association for Female Executives (NAFE) advisory board. She is married and the mother of four children. Dilip Das manages projects with the overarching focus on equity and inclusion for incoming and current students, staff, and faculty. For incoming prospective students, an equity and inclusion focus involves activity with Wolverine Pathways, collaborating with Enrollment Management, LSA, CoE, and other units, on matters related to recruiting underrepresented minority, lower-income, first-generation, and community college transfer students, along with collaborating on credit transfer issues. Dilip also works collaboratively on developing clear communications and policies for prospective undocumented and DACA-mented undergraduate and graduate students. For current students, he is involved with student leaders who organize diversity, equity, and inclusion events, committees, and meetings. In working with staff and faculty, Dilip is regularly involved with faculty and staff committees, conferences, or initiatives. 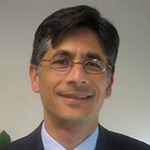 Dilip is also engaged in the 2020 U-M HLC Accreditation process and serves in an advisory role for the Student Sexual Misconduct Policy proceedings and the Applicant Conduct Advisory Committee. 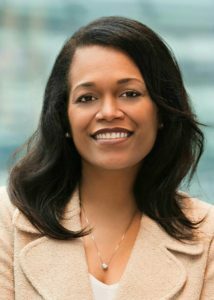 Laurita Thomas is the Associate Vice President for Human Resources at the University of Michigan. She is responsible for human resource policy for all UM campuses and a full range of comprehensive integrated human resource services, products and operations. She is responsible for 350 staff, a budget of $38M, and a benefit plan of $1B. Her professional human resources career spans roles in the financial industry, higher education and healthcare. She is a graduate of the University of Michigan in political science and economics. 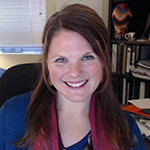 Her graduate work is in guidance and counseling and business administration. She has published many articles and book chapters. She has served as a leader in professional organizations including the ARU Human Resource Institute, Charter member and Treasurer; Higher Education Advisory Council (HEAC); TIAA–CREF Advisory Council; Fellow, TIAA-CREF Research Institute; CUPA-HR National Board Member; the Big Ten Academic Alliance Human Resources Officers; University Health System Consortium (UHC) Human Resources Officers Council Chair; and Medical Center Employee Relations Association President (MCERA). In the community she has contributed through service organizations. 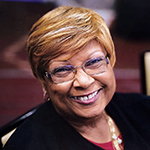 She has served on the Mayor’s Commission on Increasing Safety for Women; the Executive Committee of the Washtenaw County Workforce Development Board; SOS Community Services Board Director Emeritus; Dance for PD Board, New York, NY; Delta Sigma Theta Sorority, Inc.; Dispute Resolution Center, Board Vice-President; Girls Group Advisory Board; SafeHouse Center Board President; Ann Arbor Branch NAACP; and the Ann Arbor Chapter of The Links, Inc., President. She is devoted to her family, especially her seven grandchildren. Taryn Petryk is the Director of Diversity and Inclusion at the Ross School of Business. Taryn has over 16 years of progressive experience with the University of Michigan and most recently served as the Director of the Co-Curricular Portfolio with The Program on Intergroup Relations. In that capacity, she was responsible for teaching courses, overseeing research teams, and training students, staff and faculty on issues of social inequality, inequity, bystander intervention and intergroup relations. She was successful in co-developing, implementing and securing funding for IGR’s co-curricular area that includes the CommonGround Workshop program, which provides workshops to the campus community on understanding the impact that social identity has in group dynamics, conflict, and interpersonal communications. In her role, she developed and facilitated consultations and trainings for executive leadership, staff, and faculty at institutions across the country in areas such as designing dialogue programs, developing facilitator skills and creating organizational change that are grounded in diversity, equity, and inclusion. Taryn received a B.S. in Interpersonal Communications with a minor in psychology from Eastern Michigan University and a M.S. in Education with a concentration in College Student Affairs from Eastern Illinois University. She is passionate about creating inclusive spaces for individuals to explore their own social identity development and has a gentle way of challenging others to step out of their comfort zone to reflect on how their own identity, family background, and personal experiences affect their perception of power, privilege and social structures that exist in our society. She brings a wealth of experience to her new role, including a solid background in diversity and inclusion, strategic planning, engaging the community and building partnerships. Download a print version of the workshop descriptions here. U-M staff play an integral role in reducing workplace conflict as well as improving climate and culture. This panel of diversity leaders and trainers will discuss strategies that employees can utilize on a daily basis to feel empowered to support a more inclusive office climate. Positive business results require that teams collaborate in building inclusive organization cultures. This work is meaningful, but if it were easy, all companies would be successful. Whether leading yourself or others, come take the challenge to map a DEI strategy for yourself or your organization. A3. What’s Your Superpower? Find It! Every person has a Superpower but many of us do not have a clue what it is…much less how to utilize it. During this session, participants will take part in evaluative activities to help identify what their potential superpower could be. Attendees will leave with an action plan to develop and nurture their superpower. A4. If Only I Had More . . .
How often have you heard (or even thought), “We can’t do anything else without more money, support, time…”? The reality is that while we probably will not ever have the abundance of resources that we desire, we still can do amazing things. This session explores how constraints like lack of budget might be a good thing and can spark creativity. Seeking to move the DEI conversation forward, the presenter will discuss sense of belonging and the role of identity (particularly for women of color) as critical components in cultivating a more inclusive work environment at U-M. The discussion will also focus on what it means for women of color to feel valued, accepted and appreciated in their workplaces. This session will incorporate the concept of positive deviance (positive disruption) to identify, address, and overcome common workplace barriers. Participants will share tips and observations that will encourage women to initiate inclusion opportunities within their professional workspaces and to advocate for the success of each other. Your money should not sit around doing nothing – and at this workshop, you will not either. Learn how to figure out where you want to be financially and how you are going to get there. Feel free to bring your monthly budget to work your real world numbers. This interactive workshop is created to dedicate a space for you to hit ‘pause’ and find your center. Attendees will leave equipped with tools and resources to help reduce stress by staying grounded while navigating the many decisions of life. Who are “people of color”? In the era of #MeToo, #Black Lives Matter, #TimesUp, etc., does it matter? All are welcome to this workshop that explores: a) how are these terms defined & by whom; b) if there are advantages, challenges & barriers for so being identified; c) what does acting in one’s own best interests look like; and, d) what kind of spaces and leadership are required to engage in discussions around these topics and issues in the workplace. This workshop will teach participants specific techniques on being well at work. Included are some easy, basic physical movements and mental and emotional health techniques (such as stress management, etc.). In this lively, interactive session, attendees will explore the difference between generations, and discuss how biases and stereotypes impact the way we interact in the office. The discussion will also cover the signs of organizational ageism and discuss how it can be addressed in order to create more inclusive workplaces. Using a trip to Mongolia, Asia as the platform, this interactive workshop will help identify what our brains tell us about inclusion, how we naturally react to difference, and the everyday practices we can use to assist us in being more inclusive in our daily lives. Every organization needs those who embrace tradition, culture, and stability (penguins) and those persons who thrive on change, innovation, ideas and alternative solutions to how we’ve always done it (peacocks). These diversity of ideas help foster collaboration which often results in enhancing traditions, not erasing them. In this session, the presenter will share how watching organizations struggle with a fear of peacocks (and desire to change them) is a call to action to challenge the way the human resources function engages organizational diversity and inclusion. This timely session will review the concepts of mentoring and coaching. The presenter will explain the difference between them, highlight the different types of mentoring phases in the mentoring relationship, and provide tools to help participants identify when to seek out a mentor versus a coach. Attendees will practice developing powerful questions and learn strategies to expand your professional networks. A strong work ethic, persistence and competence have been bridges to success for many women. But, maintaining focus and properly allocating valuable resources like time and money are critical for maintaining balance and promoting continued personal and professional growth. This workshop provides participants with 10 clarifying questions and self-coaching strategies to promote self-reflection and continued personal performance improvement. Sometimes the right answers only emerge when you ask the right questions. Interested in taking control of your professional development? Attend this session to learn about the various resources available to support advancement including personal branding and managing your career. Prepare to engage in some hands-on exercises as you learn more about how best to manage your career and development. This presentation will focus on how to develop your professional career and create a progressive path to success, recognizing that self-management is critical to career development. B8. Wills, Trusts, Health Care, and Medicaid: What Do I Do? This workshop uses an upbeat and interactive approach to dispel myths and answer common questions about wills, trusts, and Medicaid/long term care. Real issues. Real answers. Real talk! Confused about co-payments? Dumbfounded by deductibles? This session will outline the nuts and bolts of health insurance plans so that you can pick the best one to cover your health needs. The medical billing process and eligibility criteria for government health insurance programs, including Medicare and Medicaid, will also be reviewed. This self-defense workshop takes a holistic approach to self-protection, emphasizing awareness and assertiveness skills as well as physical and verbal strategies to counter violence. The goal is to leave you better equipped to deal with everything from harassment to potentially violent people to sexual assault. The dance workshop will consist of line dance, a choreographed dance with a repeated sequence of steps in which a group of people dance in one or more lines or rows, all facing either each other or in the same direction, and executing the steps at the same time. In addition, learn basic steps to Urban Ballroom, the steps that are needed before dancing with a partner. The conference registration fee of $150 includes reserved seating to the opening keynote session at Hill Auditorium, continental breakfast, workshop sessions, and networking luncheon. Payment by credit card or shortcode are only accepted during the registration process. A discounted student rate of $75 is available. Please email contactcew@umich.edu for the promo code to register. PLEASE NOTE THAT PAYMENTS VIA U-M P-CARDS ARE NOT ACCEPTED. Payment by U-M shortcode: Please be sure to enter your department/unit shortcode and authorized signer uniqname in the billing section of your registration. CEW+ will bill department/unit shortcodes after March 11th. *** If credit card or shortcode are not viable payment options for you, or to inquire about scholarships for students and community members, please contact reubenjs@umich.edu before registering. The last day for conference registration is Wednesday, February 27, 2019. CANCELLATIONS: No registrations can be canceled after February 20, 2019. Please download and review our workshop selections guide to assist with your registration process. Navigate to the Eventbrite registration page here, and click on the green REGISTER button near the top right of the screen. Select your registration based on your payment type (Payment by Credit Card or Payment by Shortcode) and choose “1” from the drop-down menu. Click on the green “CHECK OUT” button in the bottom right corner of the window. Once you are finished completing all of the following fields, click on the green “Pay Now” button (for credit cards) or “Complete Registration” button (for shortcode) in the bottom right corner of your screen. If you need to register multiple people, repeat steps 2-5. Please make sure to have the individual selections ready for each person before attempting to register them. You should receive email confirmation(s) that includes the workshop and lunch selections for each individual registered. Please print out the email confirmation to bring with you on the day of the conference. The WCTF Conference check-in, keynote, lunch, and workshop sessions will take place at a few different buildings on U-M Campus including Hill Auditorium, the Michigan League and the Modern Languages Building. Please view the Conference Schedule section for specific venue information. The location for each workshop session will also be available in the Workshop Descriptions section once it is finalized. You will receive a program when you check-in at the conference detailing the specific locations for each session. Parking is available on Central Campus at the Palmer Commons structure located east of the League, off Washtenaw Avenue & Palmer Drive. A shuttle will run from the Palmer parking structure to the Michigan League from 6:00am-8:00am (round trip loop) as well as in the afternoon from 4:00-5:30pm (round trip loop). Parkers should pull a parking ticket upon entering the structure and pay the cashier upon exiting. The parking rate at the Palmer structure is $0.75 per half-hour. Click here for directions to the Palmer Commons parking structure, along with maps. Blue & Gold AVI Parking is also available in the Fletcher Street parking structure (next to the Power Center and University Health Services) and in the Thayer Street structure across from the Modern Languages Building (MLB). Please arrive early because these parking structures will fill up quickly. State Street Commuter Lot: Conference participants are also encouraged to use the free State Street Commuter Lot (bottom of map highlighted in purple) and take the AATA 36 bus which will bring you directly to Hill Auditorium and the Michigan League. Please allow an extra 15-20 minutes for travel time. The AATA buses are free to U-M personnel with an active MCard. Thank you for your continued support of the Women of Color Task Force, and CEW+ at U-M! For additional information or inquiries regarding the annual WCTF career conference, please contact Janice Reuben at 734-764-6331 or the CEW+ office at 734-764-6005, or via email at wctfadmin@umich.edu. If you need any accommodations, please contact Janice Reuben at 734-764-6005 by February 22, 2019. WCTF and Twitter: Want to tweet about the WCTF Conference? Thank you to our co-sponsors: Office of the Provost, University Human Resources, Michigan Medicine Human Resources, Ross School of Business, the College of LSA, Precision Health at the University of Michigan, and CEW+. CEW+ extends special thanks to TIAA, our Platinum Plus corporate sponsor, for its generous support of the 2019 Women of Color Task Force Conference.